We have negotiated with one of South Africa’s truly innovative companies to offer their NO DEPOSIT BLACKLISTED VEHICLE FINANCE TO THE PUBLIC, on a third party pay-out directly to the dealers or seller. -One of our consultants will contact the client and start the process, by capturing the application. -Brokers/Dealers will be kept updated on progress of application, via e-mail. -Once client is approved the broker/dealer will be informed of the approved amount, interest rate and term. -If the client agrees to the terms we will finalize the contract, with the client, for the dealer’s vehicle. 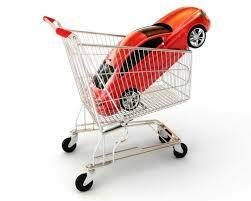 -Dealer will be paid directly for the vehicle as the monies will NOT go to the client’s personal account. Please note that we have to load you as broker/dealer on our system should you wish to make use of this service – registration document available on request.